Trees don’t like it any better than we do when people step on their feet. Construction projects, with big, heavy machines pounding the ground around trees for months at a time, can be murder on trees, quite literally. 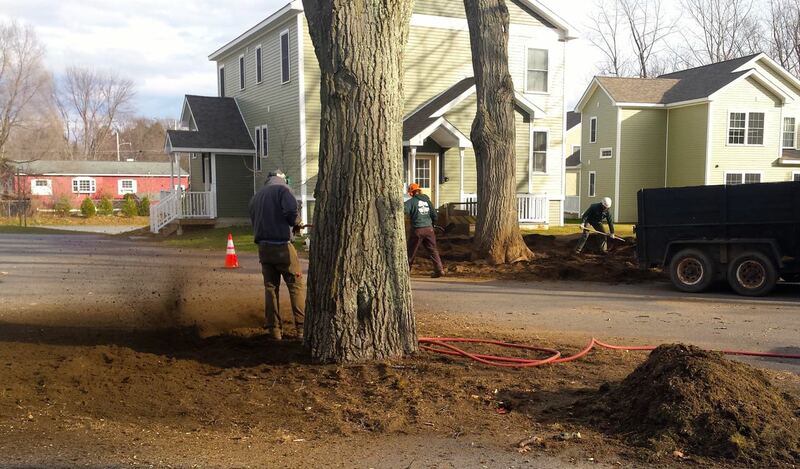 So at Teachers Tree Service, we are often called on, when construction projects wrap up, to remediate the damage. The photos below are from a recent effort. We use lots of different tools and strategies, depending on the trees and the extent of the damage. One tool is an air spade, which uses compressed air to break up compacted soil around the base of a tree, without hurting the roots. We will then amend the soil, and fertilize. When necessary, we can also add cables to construction-stressed trees that might need a little help holding themselves together. Paying attention to your trees after construction winds down can ensure they recover more quickly, and have a better chance for a long happy life. 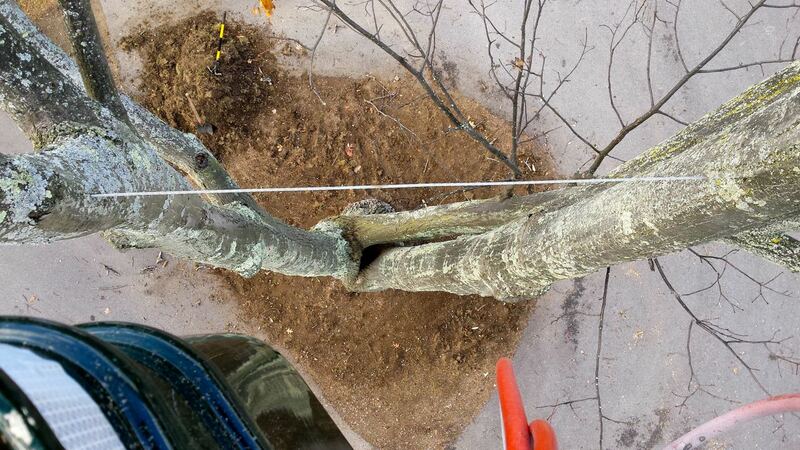 An air spade can be used to break up compacted soil around a tree’s roots. 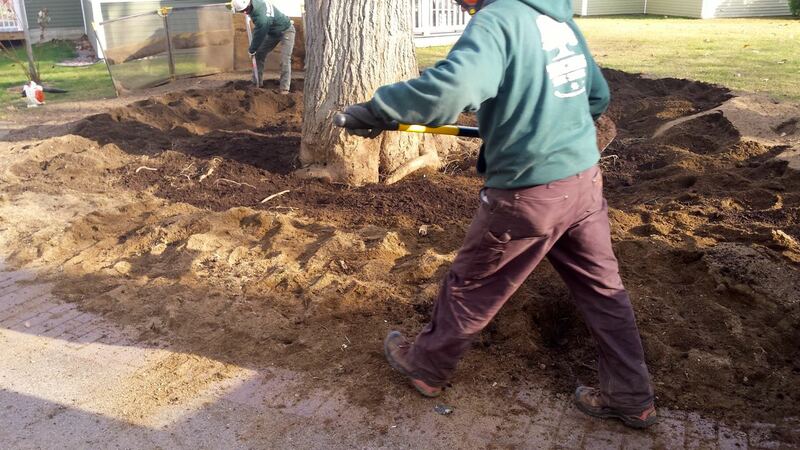 Amending the soil and fertilizing gives the tree a chance to recover from construction damage. Cabling helps the tree stay together. Copyright © 2019 Teachers Tree Service. Powered by WordPress. Theme: Spacious by ThemeGrill.